Pouf, Arte&Cuoio, DAMA POUF, Enzo Mari. 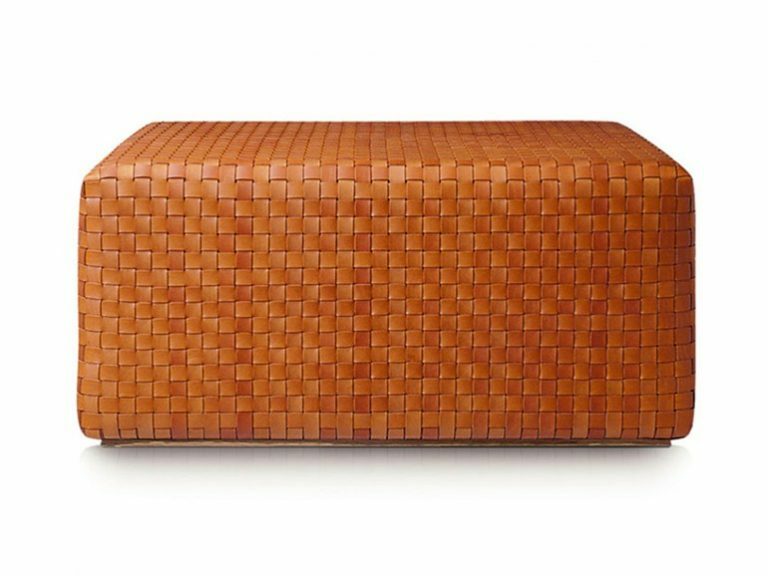 Pouf made of hand-plaited strips in saddle leather, tanned with vegetal dyes. 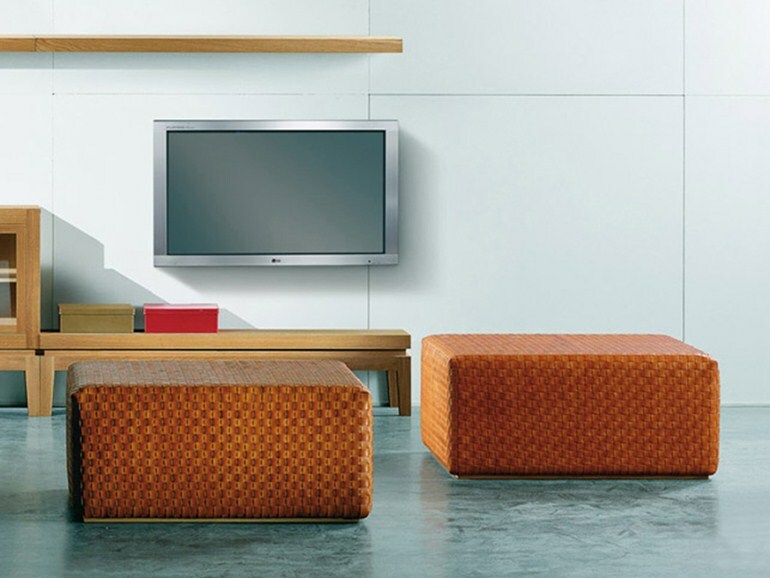 Non-distortable expanded polyurethane interior in various densities, cloth lined. 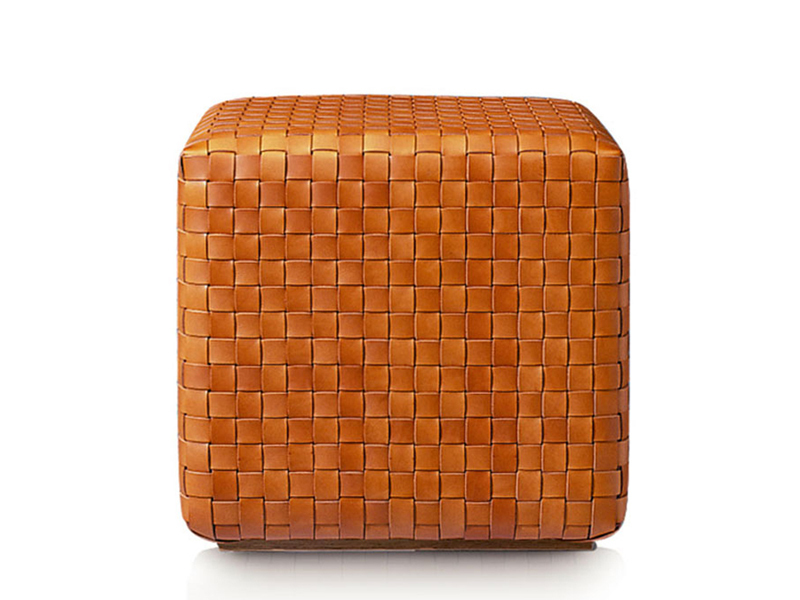 The quality of the materials, the handcrafted’s experience necessary to realise an amazing binding, and the essential shape make this pouf a precious object for your home, elegant and linear, perfect for every space.